And so I've found the best white wine produced on The Rock. By goleada as a South American football fan would exclaim. 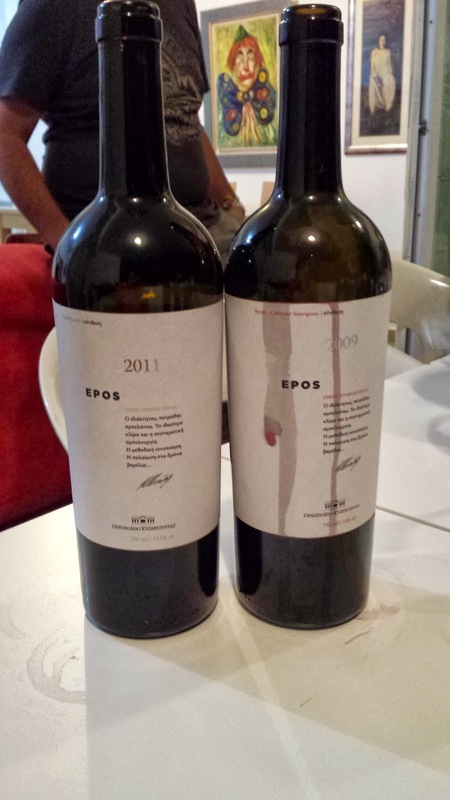 Kyperounda Winery recently launched a line of high-end wines under the label Epos. These wines, a red and a white, are made from Kyperounda's own vineyards, which allows the oenology team to monitor the grapes' development and release products that closely mirror the winery's terroir. Each bottle costs about 18 Euros, and the white, for Radio Free Cyprus' and my amateurish wine sampling skills, is simply superb. 2011 Kyperounda Epos White (Chardonnay) - Beautiful, rounded nose of pears, green apples, a hint of citrus fruits and oak. Fullish on the palate with notes of citrus, pears and white pepper. Quite long and with good acidity for a Chardonnay. 91/100. 2009 Kyperounda Epos Red (Cabernet Sauvignon & Shiraz) - Nice red fruit, black pepper, some dark cherry, coffee and oak on the nose.What is most attractive about this wine is a subtle note of licorice, mint and/or eucalyptus that sings throughout. Medium bodied with smooth tannins. 89/100.